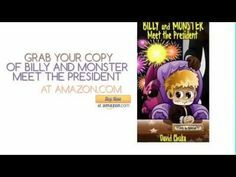 I’m happy to announce that you can get the second Billy and Monster book free today and tomorrow. 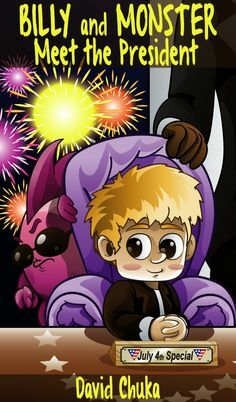 Billy and Monster: The Superhero with Fart Powers is a funny books for kids that is a sequel to the popular Billy and the Monster who Loved to Fart. So what happens in this episode? Billy and Monster love going to school as they learn so much stuff like the different planets, counting to twenty-seven and spelling chewing gum. However, most afternoons, school get’s a bit boring and they both end up sleeping in class. At such moments Billy wishes he could be a Superhero! If he was a superhero, Billy could save stray cats from trees, help old ladies across the street and make sure his class had a constant supply of chocolate. He could also count on Monster to confuse the bad guys with his fart powers! One day at a fancy dress party, Billy and Monster come in contact with a thief whose been stealing people’s jewelry. Will they let him get away or will their superhero powers save the day? In this funny book for kids, you will discover how fart powers can be used to conquer the forces of evil. Quickly download your copy today and tell your family to grab a FREE copy of Billy and Monster: The Superhero with Fart Powers.